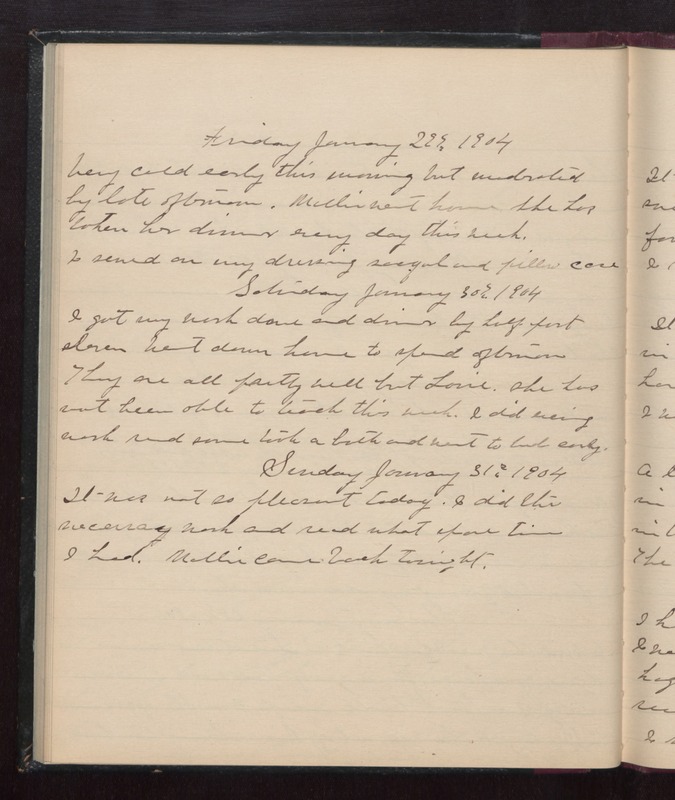 Friday January 29th 1904 Very cold early this morning but moderated by late afternoon. Mollie went home. she has taken her dinner every day this week. I sewed on my dressing sacque and pillow case. Saturday January 30th 1904 I got my work done and dinner by half past eleven. went down home to spend afternoon. They are all partly well but Lorie. She has not been able to teach this week. I did evening work. read some took a bath and went to bed early. Sunday January 31st 1904 It was not so pleasant today. I did the necessary work and read what spare time I had. Mollie came back tonight.